Apple fans living in Beijing now have another option when it comes to checking out the company’s goods, with the opening of Asia’s largest Apple Store to date. 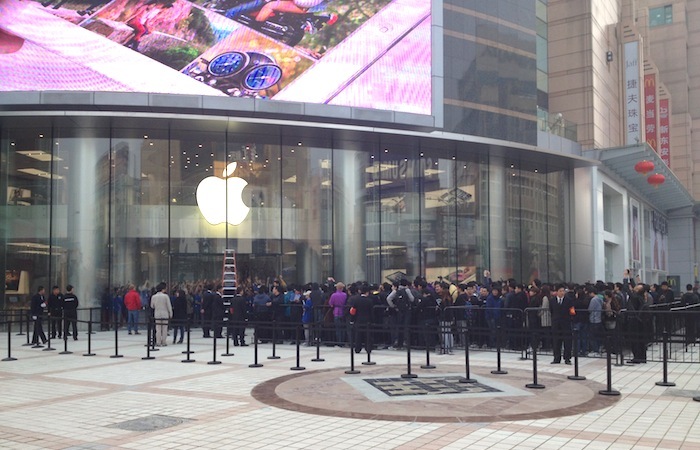 Located on Wangfujing, one of the Chinese capital’s most famous shopping streets and one popular with both locals and tourists, the shiny new store features a three-level glass staircase (reportedly one of only three in all of Apple’s retail stores), two 360-degree Genius Bars and a mainly glass exterior. Around 300 staff will be working at the store. 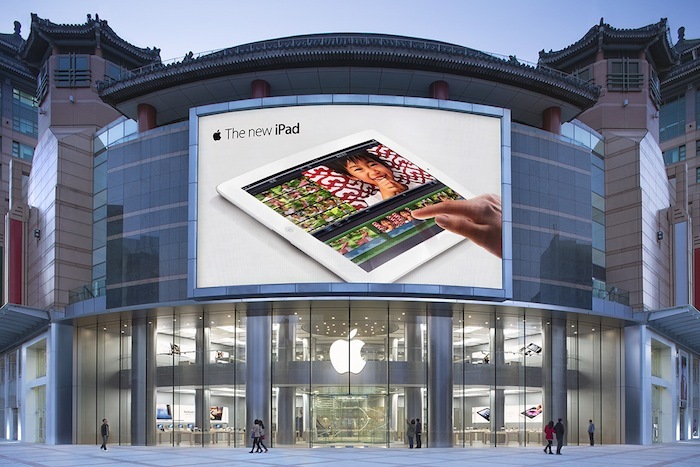 This is Beijing’s third Apple Store, with the first opening four years ago in Sanlitun in the city’s Chaoyang district. The Cupertino company now has six stores in the country, the other three being located in Shanghai. Earlier this week Apple’s senior vice president of retail, John Browett, gave the press a tour of the new store prior to its opening, describing it as the best store that Apple has built in Asia to date (though we rather think he would say that, wouldn’t he). He also confirmed that Apple would soon be opening another store in the country, in the city of Shenzhen just across the border from Hong Kong. Apple has made a big success of its retail business since opening its first store in California in 2001. It now operates some 390 stores in 14 countries, with China, its biggest market outside of the US, lined up for more openings.